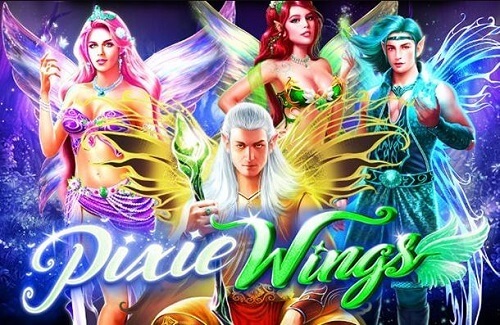 Pixie Wings is an online pokie that Australian internet gamblers have absolutely fallen in love with. It boasts a magical, fairy tale theme. This theme features supernatural beings, fairies, and other exciting mystical creatures. Read on to find out what an exciting gambling adventure you can have with Pixie Wings online pokie. Thanks to the Pragmatic Play software providers, players get a feeling that they are being transported to another world of magic and mystical creatures. The game boasts superior graphics and sound quality that even those opposed to mythical creatures may find themselves enchanted by this pokie. Players can look forward to the Pixie Wings wild symbol as well as the scatter symbol featuring a tree. What is great about the Pixie Wings wild symbol is that it can substitute for all other symbols featured in this casino game, aside from the bonus symbol. This wild symbol can be chosen at random as the mystery stacked symbol. The scatter tree symbol on the other hand, may appear stacked on each reel. So, what can you expect when you step into this fairy tale wonderland? Players will get the chance to trigger the free spin feature should they land three or more of the Scatter symbol. When this free spin feature is triggered, Aussie gamblers have one of five choices to make. Each of these choices contains a different stacked symbol with a specific number of free spins. Should you hit the wild symbol alongside any of the stacked symbols, players will be awarded between three and 12 free spins. Within the free spins feature, a special set of reels will be activated. However, this all depends on the option you chose earlier. But if you really want to hit the Jackpot and take home all the moola, then you’re going to need to hit 5 Pixie Wings wild symbols. Here are all the facts about the Pixie Wings pokie online that you may want to know. For your convenience, we have put together an easy to read list of facts. This pokie features 50 paylines and five reels. Players can bet a between one and ten coins per payline. The minimum coin size is 01 and the maximum is 0.5. This is not a progressive jackpot game. Overall, Pixie Wings is an exciting online casino game for Australian players to indulge in. Players from all walks of life can play this game thanks to the wide range in betting size. So, why not give it a try today? You will not be disappointed.